These Halloween minute to win it games are super fun! They’re perfect for a party, a school event or just some fun at home with the kids. The whole family will have a blast playing these together. 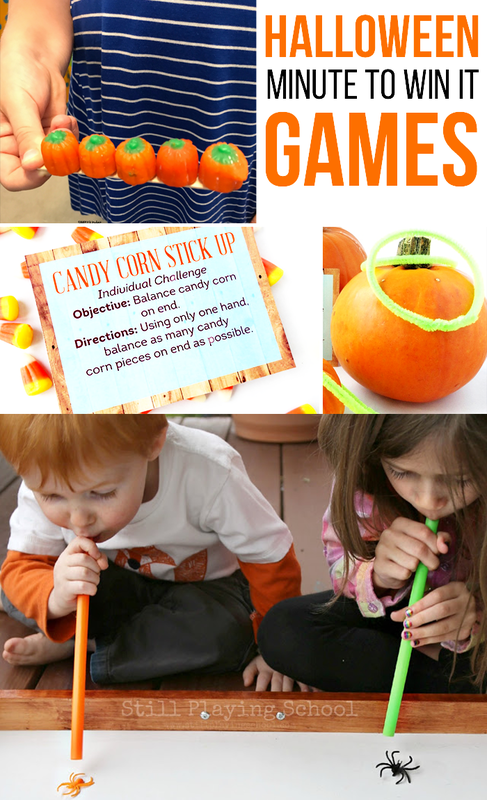 Candy Corn Stack – Try to stack candy corns on top of each other. Whoever stacks the most in a minute wins. Get a free printable from The Dating Divas. 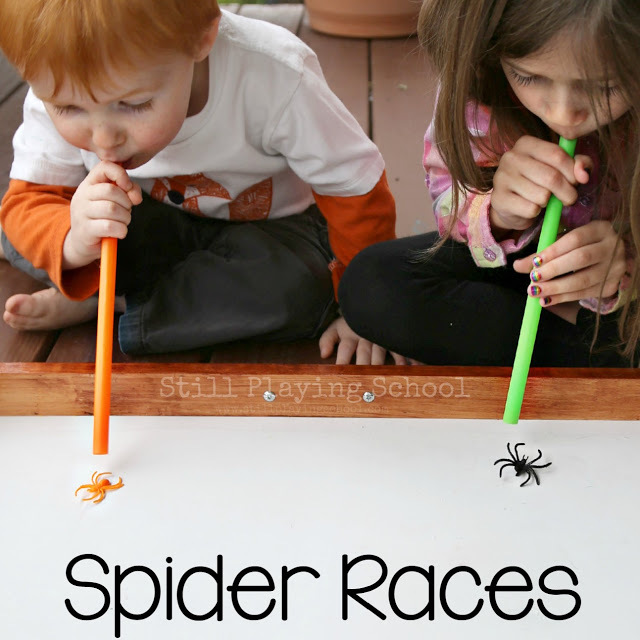 Spider Races – Place plastic spiders on a table and use Halloween straws to blow them across the table. Whoever crosses the finish line first wins. Vampire Teeth – Using those funny plastic vampire teeth in your mouth, pick up as many marshmallows as you can and place them in a bowl. Person with the most wins. 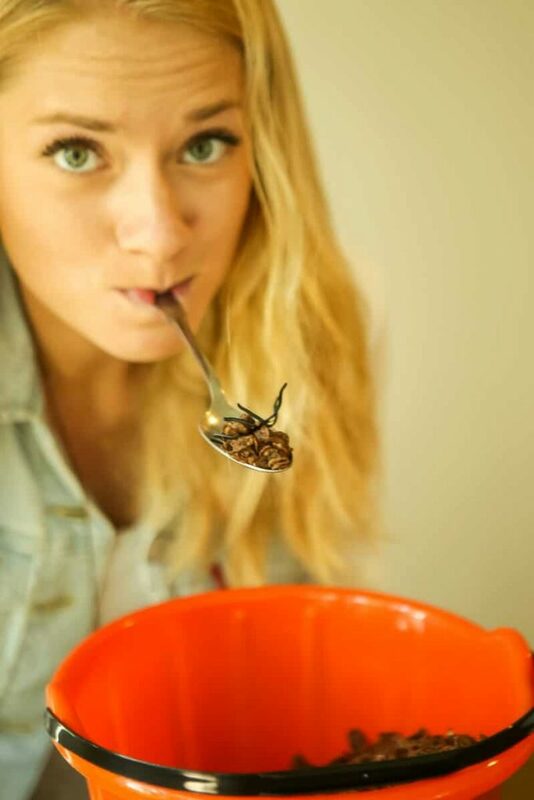 Mouthful of Dirt – Fill a bowl or pumpkin bucket with cocoa pebbles (aka dirt) and small plastic spiders. Using a spoon in your mouth, dig out as many spiders as you can in one minute. Pumpkins on a Gate – Using candy pumpkins and a large craft stick, try to stack the pumpkins on the “gate” in one minute. Pumpkin Ring Toss – Make green rings with pipe cleaners and toss them onto the stems of small pumpkins. Whoever gets the most in a minute, wins. Get a free printable from The Dating Divas. 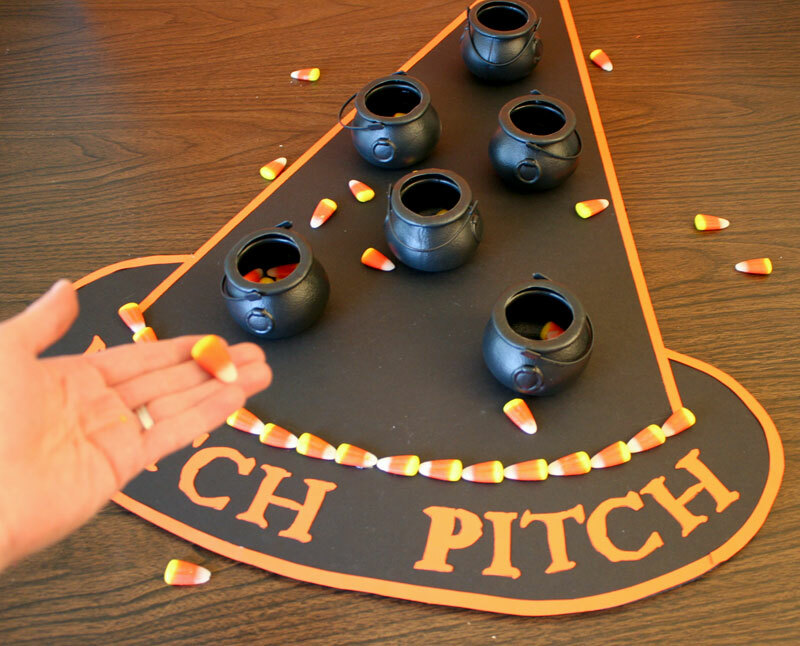 Witch Pitch – Cut out a big witch hat from poster board and place mini cauldrons on the hat. Stand at a line and toss candy corn into them. Whoever gets the most, wins. Yank Me – Stack up some Halloween cups with squares of paper in between each layer. Try to pull all of them out in under a minute. Mummy Wrap – Two teams each get a roll of toilet paper, in one minute the person that wraps their partner in the most TP wins.